A section of Kisii county government is agitated by the high cost of ambulance services in the county. They allege that the ambulance services cost Sh654000 per month for the nine sub-counties to Red Cross headquarters which translates into Sh6.78 million. Normal ambulance services to Nairobi had been costing patients of accidents and other related services Sh16,000 but now Kisii ambulatory services costs them Sh21,000 which they say is on the high side. Most of the sub-counties had ambulance service vehicles at their subdistrict hospitals. Bobasi subcounty has their ambulance at Nyamache Sub District Hospital brought by then permanent secretary ministry of Health the late Hezron Nyangito. Nyaribari Chache has the same service at Keumbu level four hospital while their neighbouring Nyaribari Masaba their vehicle is stationed at Gesusu Nyayo wards. 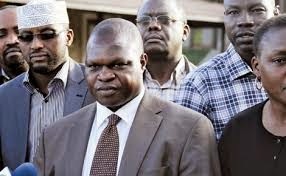 South Mugirango has the ambulance services stationed at Nduru Hospital with their neighbour Banchari having bought their services through former MP Charles Onyancha through CDF. Both Bomachoge Borabu and Bomachoge Chache, before they were split into two, shared the Ogembo-based vehicle also brought by the ministry of Health during the Charity Ngilu’s tenure. Before the split of Kitutu Chache South and Kitutu Chache North, they had a serviceable vehicle based at Marani Hospital and Marani District Headquarters for the same services. From each sub-county, the normal prices for hire were to Eldoret Referral Hospital had been Sh6,000 but now Sh18000 to Tenwek Sh 12000 instead of Sh6000, while to Russia Hospital Kisumu charges is Sh12000. All the monies go through the governor’s office through his private secretary who is also his cousin, sources said. Speaking to Weekly Citizen, the source whose name is withheld because security reasons said the monies does not pass through several bank branches in Kisii town or Kisii Level Five management. The allegations further point out an accusing finger to the health executive since more than 10 patients have already died due to the higher prices on these services. On the commissioning day with Abbas Gulet at the Kisii executive office, the county management and the Red Cross representatives, free services were announced only after three days of orientation with all the nine subcounty services only later to turn the tables down. The cellphone numbers inscripted on the ambulance are answered at Nairobi headquarters and in respective subcounty areas. Patients needing services over 20 kilometres are charged by Sh3000 while the same services within the given area is Sh1200 or Sh1500 which is affordable to most patients, claimed the source but over 30 kilometres away, one is forced to cough Sh10,000. 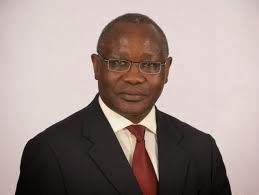 Locals say that the government is milking patients instead of helping them, whilst drivers say that on reaching within Kisii urban centre, they switch on the siren, a sign to show the governor that they have achieved their collection.